The blogging world lost an amazing woman today. 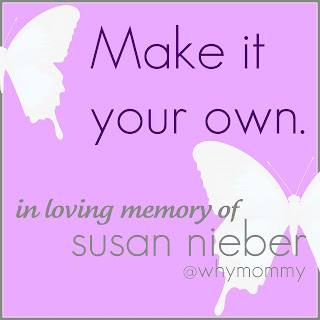 Susan Nieber from Toddler Planet passed away today after a 5 year battle with Inflammatory Breast Cancer. 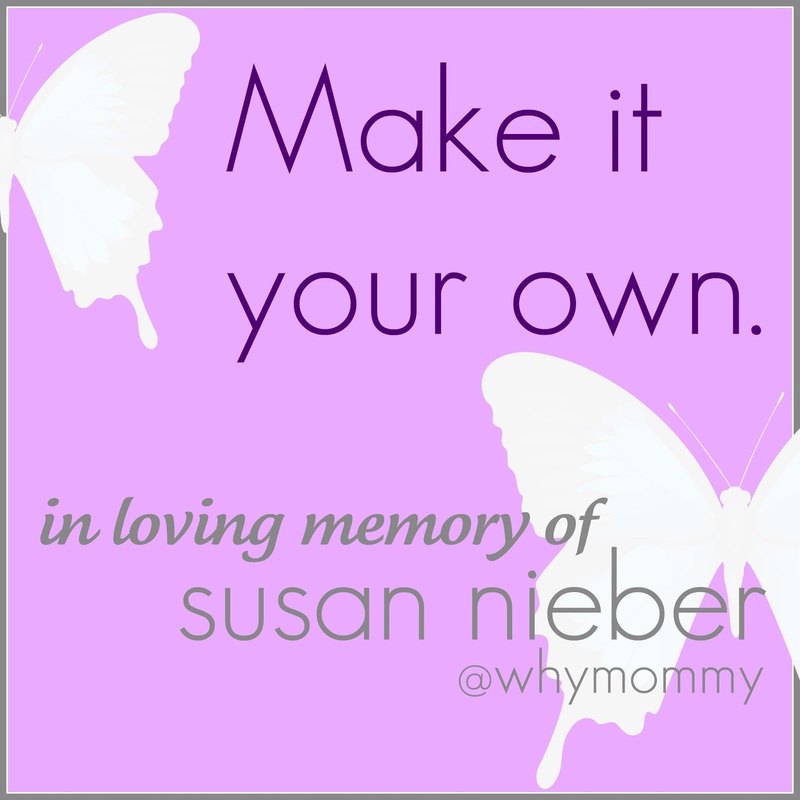 Susan gracefully documented her journey online and inspired thousands of women with her words of strength. Through her, Team WhyMommy was founded to create support for Susan and to empower women across the globe to learn more about IBC and be advocates for their own health. For more information on Inflammatory Breast Cancer, read Susan's full post here or go to the Inflammatory Breast Cancer Research Organization. Curt: No matter what, you deserve to feel better right now, and you deserve a chance to enjoy family and friends, and if that means we use hospice, or go to the moon, or paint you green, then we will do those things. I have dibs on the paintbrush. Susan: Green’s really not my color. Curt: I have not yet encountered a color you could not make yours. Purple? making our life our own. Donations can be made to the Inflammatory Breast Cancer Research Foundation. Oh, this is so very sad. Taking a few minutes to browse the site... makes me so sad to hear that she has lost her battle with such a nasty nasty thing as cancer!